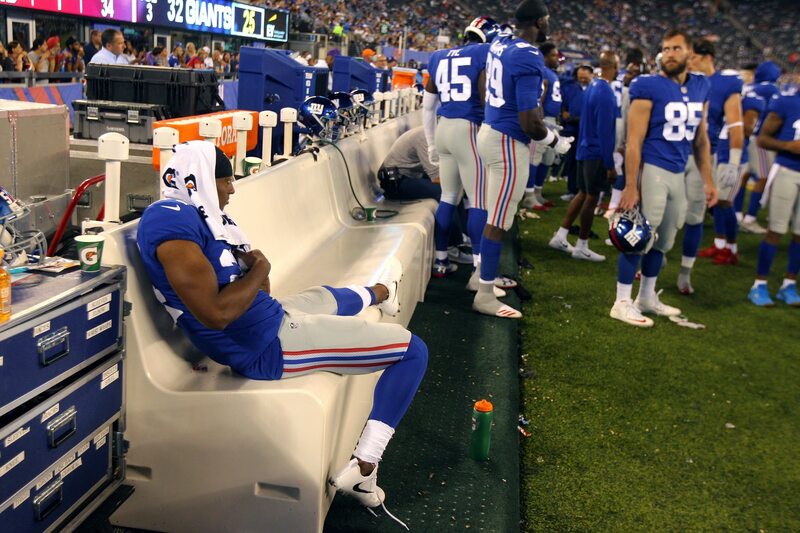 New York Giants general manager Dave Gettleman wasted no time adjusting the roster after being hired, but cornerback Eli Apple will remain a part of the team for now. According to Steve Serby of the New York Post, the new GM said he talked to Apple and “time will tell” if the Giants can salvage his career. Apple made several headlines during the 2017 season, especially as New York’s frustrating campaign came to a close. And none of them were positive. Early in the year, he was benched for disciplinary reasons. He was fined for posting on social media during a game. Giants safety Landon Collins called the cornerback a cancer, and the team eventually suspended Apple for the regular-season finale. Apple is at risk of being released because a suspension for conduct detrimental to the team “will wipe out” the otherwise guaranteed money on the final two years of his rookie contract. Knowing that, it seemed inevitable that the Giants would move on from him. But Gettleman, who almost immediately upon arrival cut starting right tackle Bobby Hart, is going to give Apple an unexpected second chance.